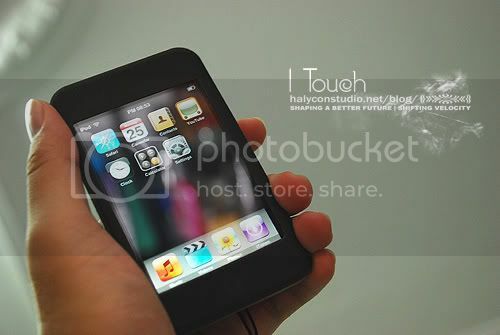 Any of you here got an I-Touch / I-Phone who'd love to share cool apps and repos? owwwweeee man . i want this! dammm! i want it! lol. This is my favourite phone.. Apparently I got a touch instead of the phone. Just without calling and sms features for the touch, thats the only difference. Jail breaking it is easy though. I heard we can get an iphone at USD$499 now. iphone 3g coming up is uncrackable (not sure.. heard in other sites) due to new chipset used. Again, anyone here got any cool apps or repo to share about? I'm looking for chinese character input (keyboard). I've installed iCosta before and able to type in pinyin but the problem is... I can't update any other applications, inc. the Installer after iCosta was installed. Any other options? Any idea? This reminds me the sad story. I phone was the coolest thing I ever had. However it got stolen just after a month damn!!. Personally I like the Win dict and some games like snooker and pianist. I hope 2gen iphone will include anyway answer, better stereo speakers , louder ringtone, built in radio and flush support and faster speed then it will be perfect! Does it come in other colors? Apple products usually very colorful ne..